Coinciding with the announcement of their super long zooming bridge camera, the LUMIX FZ72, Panasonic have announced the DMC-XS3. 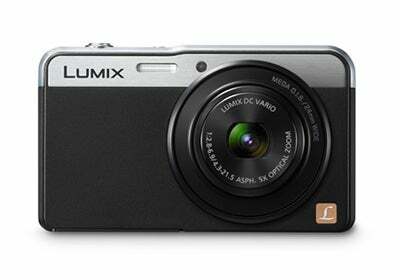 The camera boasts a 14.1 megapixel MOS sensor, a wide angle lens and a variety of new filter features. The ultra slim XS3 is only 14mm thick, yet features 1080p video recording in the MP4 format and high speed consecutive shooting that makes use of Panasonic’s Light Speed AF. The video mode is complemented by the inclusion of a dedicated movie button, with videos and stills being viewed on a 2.7-inch LCD display. Additionally, the DMC-XS3’s 24mm to 120mm wide-angle lens comes equipped with a 5x optical zoom which can be extended to 10x utilising the Intelligent Zoom feature. The DMC-XS3 is seeking to target the creative user, presenting the Creative Panorama function, allowing for both horizontal and vertical panoramic images which can then have the instagram treatment with filters including Retro, Expressive, High Key, Low Key, Sepia, Dynamic, Monochrome, Impressive Art, High Dynamic, Old Days, Cross Process and One Point Colour. The XS3 also allows you to apply filters whilst shooting and in post using Creative Retouch. Integral to the XS3 is the Intelligent Auto functionality (iA) enabling quick automatic setting of ISO, Exposure, Face Detection and Scene Selections, useful for the beginner user or for quick snaps. There is also the MEGA O.I.S system which seeks to correct hand shake to ensure clear, sharp images. Handheld Night Shot is another significant aspect bundled with iA utilising several layered images to ensure greater clarity with low-light photography. The DMC-XS3 will be available in September in a choice of two colours (black or red) at a price of £119.